Dr. Joseph Pohl, owner and founder of Forge-Rx, is a board certified Obstetrician Gynecologist with 30 years experience in healthcare. He has an undergraduate degreee in Chemistry / Business from the University of Richmond, Richmond, Virginia and attended medical school at the Virginia Commonwealth University School of Medicine. He interned at Letterman Army Medical Venter in San Francisco, California and completed his residency at Madigan Army Medical Center in Tacoma, Washington. Fellowship trained in Pelvic Reconstructive Surgery at Emory University, Atlanta, Georgia. Staff Obsetrician Gynecologist at Landstuhl Army Regional Medical Center in Germany, and completed his 12 year military service as a Lieutenant Colonel and Director of Pelvic Reconstructive Surgery and Urogynecology at Walter Reed Army Medical Center / Bethesda Naval Medical Center / Uniformed Services University of Health Sciences in Washington, DC. 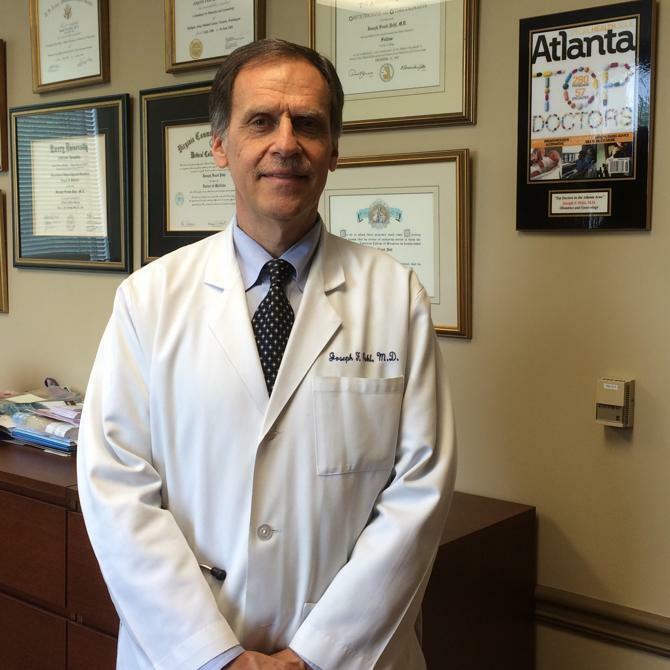 Dr. Pohl has been at Gwinnett Medical Center since 1998 and currently is in solo practice at Women’s Healthcare Consultants of Gwinnett in Lawrenceville, Georgia. His current interests are exercise and fitness, food and nutrition, and how lifestyle changes impact wellness and chronic disease prevention. During your 30 min wellness screening, Dr. Pohl will administer 1 In Body Assessment and 1 Set of Labs as well as discuss your health and wellness goals and how to get there.